Spending quality time with your children is easier than you might think. Whether your child is a toddler or has already entered the teen years, your presence in his or her life is important. No matter what type of parent you might be, spending quality time with your child is probably the most important thing you can do to foster a happy, positive relationship between the two of you. In fact, many parenting problems result from a lack of time spent between a parent and his or her child. Finding quality time to spend with your child can be difficult, particularly if you work full-time. Juggling the responsibilities of running a household, holding down a job, and taking care of your many other obligations can leave you feeling overwhelmed. What parents often fail to realize, however, is that spending quality with their children can offer up the greatest joys in life! If you think you and your child have nothing in common, think again! 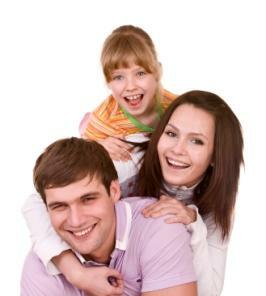 The following is a list of ten ways in which you can spend fun, quality time with your child. Try all of them or only one or two. If you have more than one child, choose one or two of these activities and spend some one-on-one time individually with each of your children. Don't worry about how successful your fishing trip might be or whether or not you coach a winning team. Instead, focus on building a stronger, more loving relationship with your child. You and your son or daughter will continue to reap the benefits from the time you spend together for years to come! Reading-Reading aloud to and with your child is so very important. Many parents begin reading to their children before they are even born! While you can certainly enjoy reading to a younger child, don't overlook reading opportunities with your preteen and teen. Join a book club together or start one of your own. Read a popular book together, and plan on watching the movie version, too. Hold book discussions with each other, examining what you liked and disliked about the books you read together. Camping-Camping provides lots of great opportunities for quality time with your kids. For younger children, a night in the backyard is a simple yet fun activity. For older children, scope out nearby parks or take a road trip and discover campgrounds in neighboring states. Hiking-Hiking is a great way to spend an afternoon. This is an inexpensive activity that kids often love to do. Check online for state maintained hiking trails. To raise the adventure level of the hike, consider geocaching using a GPS to search for hidden treasures that other geocachers have left for fellow hikers to find! For a lower tech treasure hunt, try Letterboxing. Game night-Set aside a family game night once a week or once every two weeks. Stack up your family's favorites and spend some really fun quality time together. If your family loves to get creative, consider making your own board games. Museums and historic sites-It's quite common for people to overlook local museums and historical sites, reasoning that they'll visit those places one day. Well, why not make that day today? Spend a day or even a weekend checking out museums and historic sites in your area and in neighboring towns. Shopping-Even if you don't love to shop, shopping can be a lot of fun, particularly if you visit shopping centers and malls in nearby cities. If your budget can't handle a big shopping trip, then visit with a particular goal in mind, such as a special pair of shoes, a new book, or a trip to a new ice cream shop. For added fun, create a scavenger hunt that you and your child can have fun with together. Coaching-Give back to your community and spend some quality time with your children by coaching them in a recreational league sport, such as baseball, softball, soccer, basketball, or football. Volunteering-Finally, you and your child can give of your time to a worthy cause by volunteering. For volunteer opportunities in your area, check out the United Way of America or contact your local Red Cross or your local chamber of commerce. Remember, the activities you choose to do with your child are not as important as simply spending quality time together!